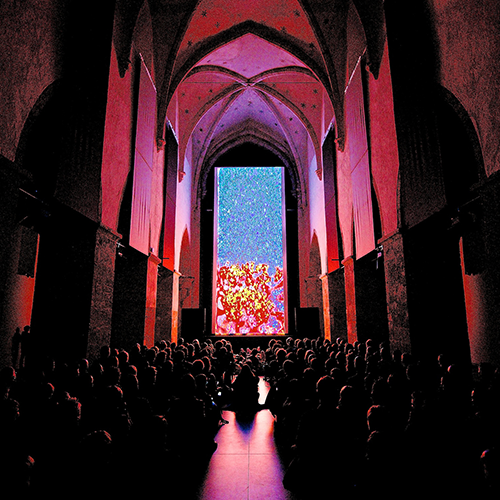 Next stop for Vertical Cinema is the STRP Biennial in Eindhoven on Thursday 26 March 2015. The STRP Biennial 2015 is all about the screen. Between 20 and 29 March, the industrial halls of the Klokgebouw in Eindhoven, The Netherlands, will be filled with hybrid forms of art, technology and music. 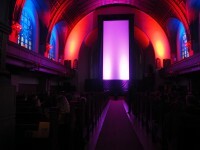 Vertical Cinema is highly fitting the SCREEN ON | NO SCREEN theme of this year’s STRP Biennial. When you think and experiment with screens in all forms, Vertical Cinema shows that the simple act of tilting the screen offers new cinematic experiences and artistic challenges to tackle. As an introduction experimental filmmaker Joost Rekveld will give a keynote lecture in which he will give context to the Vertical Cinema project. His talk will touch on the special status of the vertical in the avant-garde art of the 20th century and the continuity until current fascinations with the vertical, by those artists who work with both analog and digital media. In addition to the screening of Vertical Cinema, Vertical Cinema presents two masterclasses in collaboration with STRP Biennial on Friday 27 March 2015. Gert-Jan Prins and Bas van Koolwijk will present a masterclass on the Synchronator, a powerful device that converts audio signals into video images. And Ester Urlus will reveal all the ins and outs of the film projector in her masterclass ‘Expanded Cinema: a vertical view’. You can get tickets online or at the door. Entrance to Vertical Cinema is included in tickets for the Expo (€15 for two) and the Conference for the Curious (€17,50).